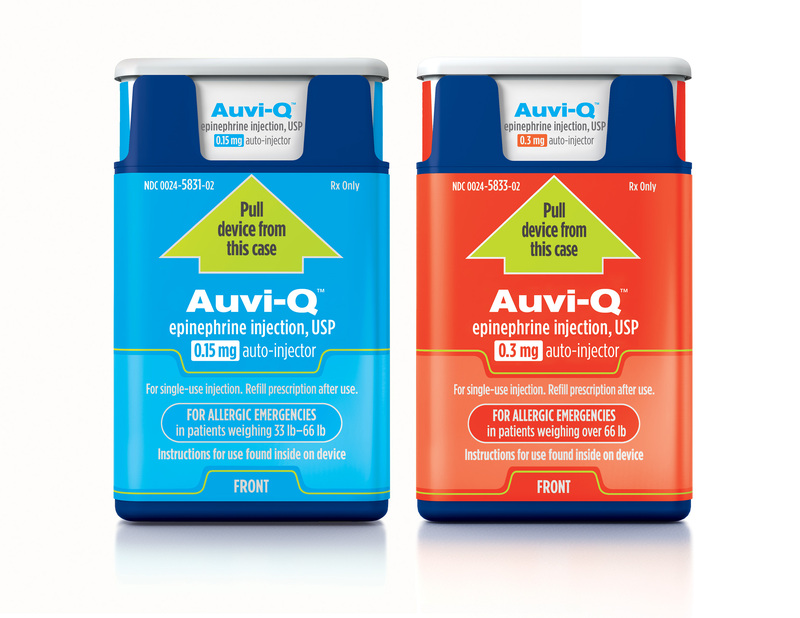 Please read the statement from Auvi-Q regarding the current recall on its epinephrine injection. If your child currently has Auvi-Q as their epinephrine device for potential severe allergic reactions, call our office to receive a new prescription for EpiPen or EpiPenJr. The following statement, taken from the Auvi-Q website, includes information about the reimbursement process as well. See their website, www.auvi-q.com, for more information. Sanofi US is voluntarily recalling all Auvi-Q® (epinephrine injection, USP). The recall involves all Auvi-Q currently on the market and includes both the 0.15 mg and 0.3 mg strengths for hospitals, retailers and consumers. This includes lot numbers 2081278 through 3037230, which expire October 2015 through December 2016. The products have been found to potentially have inaccurate dosage delivery, which may include failure to deliver drug. Customers with questions regarding this recall can go to www.Auvi-Q.com and call 1-877-319-8963 or 1-866-726-6340 8 a.m. – 8 p.m. ET, seven days a week for information about how to return their Auvi-Q devices. Sanofi US will provide reimbursement for out of pocket costs incurred for the purchase of new epinephrine auto-injectors with proof of purchase. In addition, if you purchased Auvi-Q at a cost that exceeds the cost of your replacement device, Sanofi will compensate you for the difference, with proof of original and replacement product purchases. Adverse events or quality problems experienced with the use of this product should be reported either to Sanofi or to the FDA’s MedWatch Program. To report an adverse event to Sanofi US: call 1-800-633-1610, Option 2. To report an adverse event to the FDA MedWatch Program: by fax at 1-800-FDA-0178, by mail at MedWatch, FDA, 5600 Fishers Lane, Rockville, MD 20852-9787 or on the MedWatch website at www.fda.gov/medwatch/report.htm.